Ecoventz specializes in manufacturing and distributing a superior filter for exhaust systems that are used by institutional and commercial cooking facilities. Our products are designed to collect mist and dust, abate odors and recirculate air. We are committed to making contributions to the green sector and our goal is to help our clients achieve optimum regulatory compliance, maximize operational efficiency, and promote their reputation as a green company. Commercial and institutional cooking generates airborne grease-laden mists. These mists contain strong odors that need to be dealt with to meet the Mandatory Preventive Maintenance Rules under the NFPA - Standard 96. This process adds additional costs to the operations. 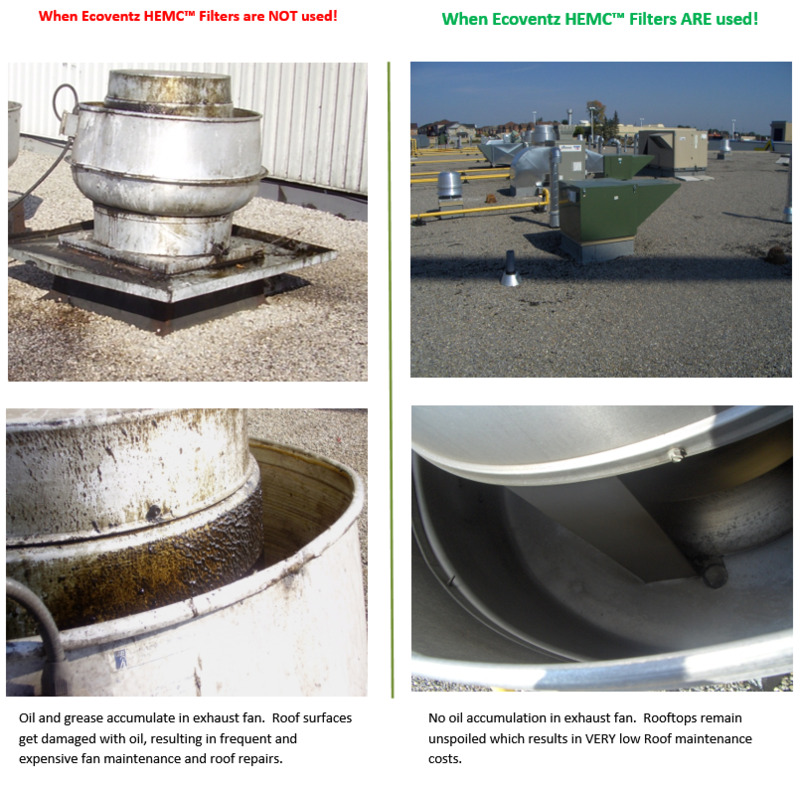 The Ecoventz HEMC can provide notable savings to mandatory preventive maintenance costs. We offer the eco-friendly High Efficiency Mist Collector (HEMC) filter system for the commercial and institutional cooking sectors. 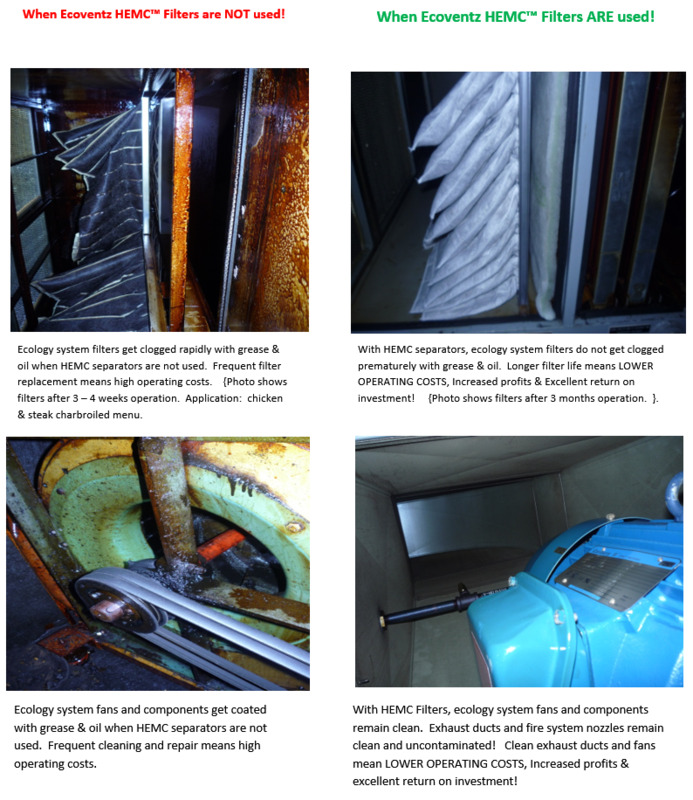 The HEMC filters can be retrofitted in several existing applications, going back 6-8 years or longer. 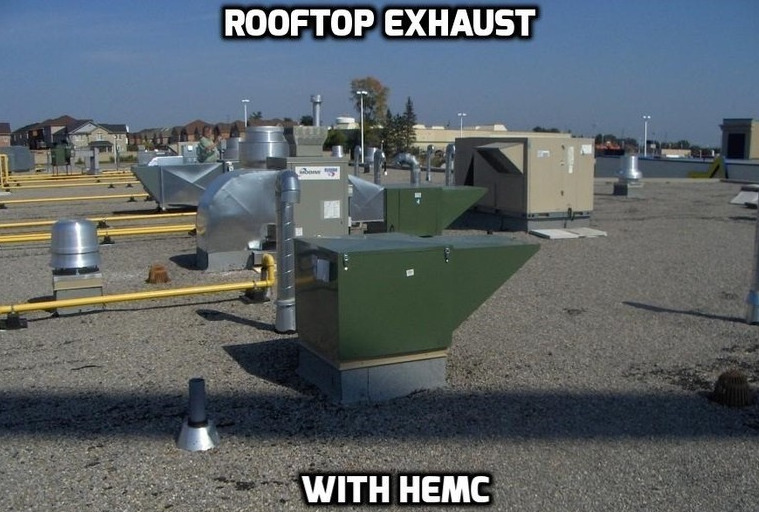 The HEMC collects 95%+ of all airborne mist particulates of .3 microns and larger in a single stage. The collected cooking grease is directed to a reservoir and added to the used cooking oil destined for use in biofuel and other byproducts. For comparison, the size of human hair is between 30 to 80 microns. There is a big difference between that and .3 microns. An additional benefit of the HEMC is its ability to stop flames and arrest sparks. The spread of fire into the ventilation systems is a major concern in commercial cooking applications and is the cause of many building fires. Previous UL/ULC testing demonstrated that fire does not penetrate the chimney apparatus for a full 3 minutes. It became apparent that the HEMC is also a superior flame barrier as compared to other products. The present NFPA-Standard 96 2014 allows the kitchen fire flames to penetrate the chimney exhaust ducts up to a maximum of 18 in. beyond the flame barrier. When the CO2 fire suppression is not deployed in a timely manner, fires can easily spread throughout the building. 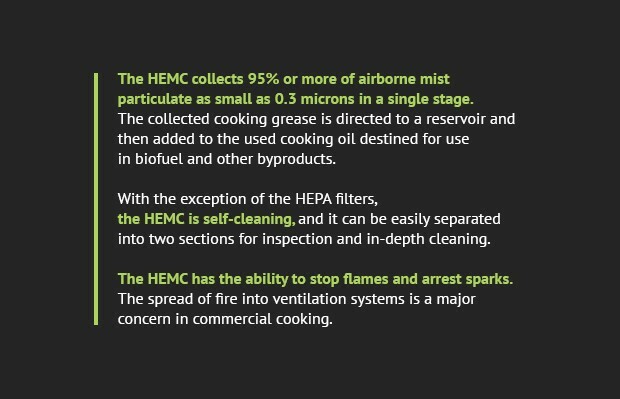 We believe that the HEMC is a game changer for added fire safety to the commercial cooking sector. Minutes or seconds can make the difference in the spread of kitchen fires in the chimney exhaust apparatus and can cause buildings to burn to the ground. Because of the added fire protection, we intend to partner with insurance companies that are willing to offer premium discounts to our clients. This a great value proposition for all our future clients. 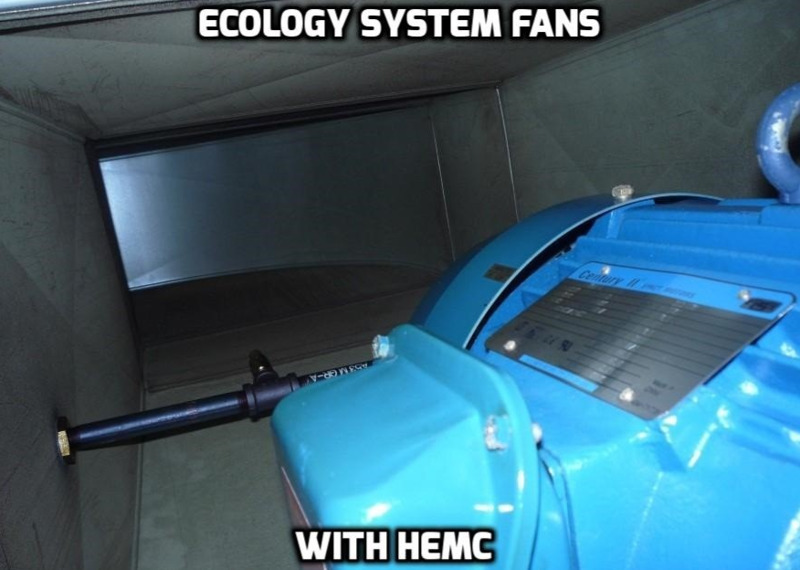 Similar testing also proved that the HEMC is also an effective spark arrestor. Some well-known multinational businesses are presently using it for this purpose. These characteristics work well to simplify the approval process to any applicable standard to which the HEMC is being applied and would go a long way to support our lower insurance premiums initiative. These are all benefits, in addition to our clients saving up to 30% or more from their present Mandatory Preventive Maintenance costs. Established Product Line: All of our products have proven effective performance and have been certified based on sector-specific applications and appropriate authority performance standards. Proven Eco-Friendly Technology: The Company has tested its products and the results show that they are an effective and environmentally friendly solution to remove airborne mists and particulate matter from the air. Customer Acceptance: The previous company sold our products to big name businesses throughout Canada. We believe that Ecoventz can duplicate this high level of customer acceptance in the US. Supplier Relationships: We have established connections with manufacturers who can produce all of the parts and components we need for our products. In-House Assembly: All final assembly and quality control is performed in-house. All manufacturing partners are subject to our certification process. Market Potential: The US Market is ideal for our application. Our vision and forecasts are quite realistic and we will gain momentum as soon as we launch marketing activities in our initial target sector. The retrofit-able canopies market size dating back to 2009 is the amount of $ 889,427,000. 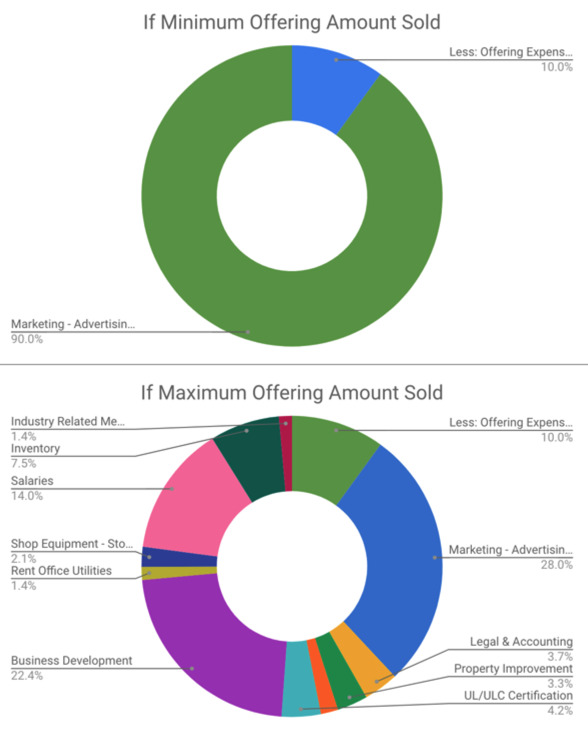 The available annual market size from 2019 and beyond is in the $ 100,000,000 range with an estimated $ 2,900,000 annual increase. The available retrofit-able market from 2019-2021 is 400,688 units. The Ecoventz projected market share total for years 2019-2021 is 3,035 units. This amount represents less than 1% of the available retrofit market. There are over a million restaurants in the US, not including institutional food preparation facilities such as hospitals, universities, prisons and large & small consumer prepared food suppliers, all of which are potential clients. Our market research indicates that presently no one is offering a similar solution associated with the benefits of our Retrofit-Preventative Maintenance Package. Preventive Maintenance Service Providers are available, although at a much higher cost than ours or ones that are willing to work with little if any profit margins. This applies mostly to new market entrants. The clear majority of the filters to be retrofitted are 20”X 20”. Mass production will provide us with lower production costs. The old filters are simply exchanged with the HEMC filters. The Area Licensee performs the Preventive Maintenance and installs the new filters and the Five-Year Preventive Maintenance Contract Cycle begins. The Retrofit Plan allows us to address applications in operation for seven years or longer. Our Retrofit Plan includes a Five-Year Preventive Maintenance (PM) Service Contract at discounts of 30% or greater than the client’s present costs. The Preventive Maintenance Service Plan will help us generate ongoing residual income from these types of sales. The PM Service intervals are set by the NFPA-Standard 96. Depending on the Hood Size and type of cooking, the intervals can occur quarterly, tri-annually or semi-annually. Tim is a leader who is strongly invested in employee communications and engagement. 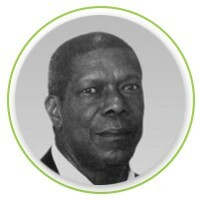 He has an exceptional track record of responsive leadership and initiating strategic partnerships. 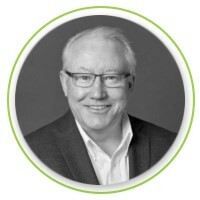 A strong business leader with experience across numerous market sectors, Tim founded two private companies and led a turnaround in the distribution business, taking sales from $9.8 million to $24 million. He was also a key participant in launching two public companies. Tim graduated at the top of his class with an MBA. 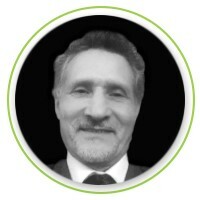 David is a sales and business development professional with a keen interest in bringing innovative products and services to market. He won an industry award for reaching sales of $7 million within two years. David has also worked with a global Fortune 300 information management company in the United States to help transition a post-merger field sales strategy from transaction-oriented and product-centered to a services-led information management partnership approach. David volunteers as a coach to non-profit organizations. Jeff is an NDE (nondestructive examination) expert in all methods of metal fabrication parts and components. He holds CGSB certifications in liquid penetrant and magnetic particle testing, in ultrasonic (Level III), and in helium and halogen leak testing. He also served as the special assignment instructor in non-destructive examination at the Mohawk College Campus of Applied Arts and Technology. He will assist with new application development, providing invaluable input for obtaining optimal quality controls and achieving the highest industry standards. 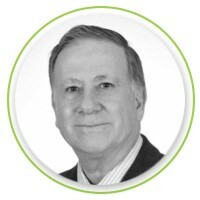 Frank has been President and CEO of a boutique consulting firm focused on energy and infrastructure solutions since 1998. Recently, he served as COO of a publicly-traded diversified investment company focused on impact investments in sustainability. He helped turn around a mechanical contracting/building control company and a thermal design-build firm. 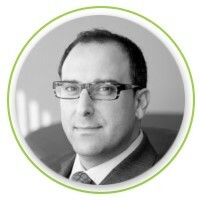 Previously, he served on the Board of Directors of the Ontario Energy Association and Rethink Sustainability Initiatives. Frank is a York University graduate with a BA in Political Science. You seem to have a great product, that meets a real need, with a solid team behind the business. Everything about the pitch makes me want to invest - with one exception: Why, with a team as solid as the one presented, is the pitch here so full of spelling and grammatical errors? It really makes one wonder how much attention you pay to detail. Hi Thomas, many thanks for your observation. Much appreciated. We are presently working on this and hope all should be corrected. Again many thanks.